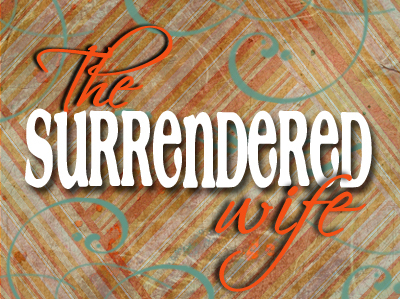 How are you doing in your quest to become a surrendered wife? Can I be completely honest with you? THIS. IS. HARD. And the Enemy is turning up the heat, making it even more difficult for me to walk this out… well. Just when I want to throw in the towel and throw this new plan out the door… I think about you. It means a lot that we are journeying together. And I’m glad, because today’s topic is painful. This next step is about giving up… C O N T R O L.
For us to surrender to our husbands, we have to give up control. giving something up out of courtesy or goodwill. an act of willing submission. While being in control worked well in my single life, I knew it was becoming an issue in my marriage when I started feeling overwhelmed and exhausted from carrying all the responsibility. Most of it was self-imposed, which then led to resentment that I had to handle it all. I began to look at myself as superior, and Wayne as… inferior. I stopped trusting in his ability to do things on his own, so I felt obligated to control it all so the outcome was what I wanted. That was so P R I D E F U L.
But I realized there was something more under that desire to control. There was a much bigger issue. It was F E A R.
What if he feeds our kids the wrong thing for dinner? What if he gets them to bed later than their regular bedtime? What if he forgets to pay that bill? What if he doesn’t respond to the email right? What if he forgets tomorrow is trash day? The fear of things not going my way drove me to control… and manipulate… and monitor. I’d remind him of his appointments in advance. I’d leave detailed notes on how to do things for the kids. I’d send text message prompts. Ugh… really. I can be so nasty in my flesh. When we treat our husbands as inferior… when we take control out of fear… when we make all the decisions… they become dependent on us. They get beat down, thinking they “can’t” do things right. Rather than share their ideas and desires, they default to what we think and want. And eventually… they stop thinking for themselves altogether. In the book The Surrendered Wife, the author talks about the importance of respecting our husband’s thinking. He needs our vote of confidence. These aren’t conducive to a happy husband or a thriving marriage. So we need to learn how to speak life into them by showing we respect their thinking. The author suggests saying this exact phrase – word for word – to your husband to show him that you respect his ideas and suggestions. While it may sound fake at first, ask God to back up your words with genuine surrender. This 3-word phrase is power-packed for your man because it implies that you agree with him. It makes him feel valuable to the marriage and family. He feels respected, which I discussed in my last blog. He needs you to believe in him! And when it ends up that his decision or idea fails… because at some point it will… remember that he’s learning. He is building up a muscle that has atrophied. So… don’t make a big deal about it. Instead of the “I told you so’s” or the “I knew you couldn’t do it right” comments, you give him a hug. Chances are you’ve made bad decisions and had good-intentioned ideas fail, too. Yes? Listen… when your husband knows he has grace to fail, he will take more initiative. And the amazing by-product of giving up control is that when he feels respected by you and better about himself, he’ll begin to treasure you more. So… no more reloading the dishwasher because he’s done it wrong. Stop reminding him how to take care of the kids. Quit telling him the best roads to drive to church. No need to tell him – again – to take his vitamins. Let him chose how he wants to dress. Don’t nag him to exercise. Remember that he’s an adult, and a capable one at that. And to be honest, the only way to know who your husband really is… is to let him lead. Because when you do, you’re allowing him to step into the role God designed for him. Being a surrendered wife means empowering your husband to be the man in the marriage. You step back from being in the driver’s seat. You trust his ideas and decisions. You accept that just because his way isn’t your way… doesn’t mean it’s the wrong way. What area will be the hardest for you to give up control? Father, thank You for creating my husband to lead. Forgive me for sometimes standing in the way of Your design. I want to be the kind of wife that encourages and trusts her husband. I want to be full of grace for failed attempts. I want our marriage to blossom. Help me step back and help him step forward. I speak against the spirit of Fear that causes me to control things. By the blood of Jesus, I cancel its assignment and ask that You bring the spirit of Peace and Trust to rest on me and my home. Please bless my marriage. In Jesus’ name. Amen. REALITY CHECK: Under the need to control your husband lies a fear of something. Ask God to reveal it. Then ask God to heal it. Check out my “Be Real” acrostic printable! Free thru January! Previous Post: « SURRENDERED WIFE: I Have To Respect Him? Carey I loved the suggestion of “whatever you think” and to realize he doesn’t have to know what I think on every spiritual issue in our home, in our kids, the the world, etc…. If I am always sharing what I think (first) I am not allowing (um or encouraging) him to seek the Lord on what HE thinks. I love the focus or giving our husbands confidence in the areas we are used to taking control / leading. Love that God is using our marriages to transform us more into His image – makes it exciting not so scary. Great post Carey, and someday I’d love to chat with you more about this because there are cultural attitudes which make it harder for this to happen, and there are people who have genuine strengths and weaknesses which don’t always fit in a plan but the message is so true. We need to be encouragers and uplifters. Nicely done my dear! Shanyn… you’re so right. There are some situations where this doesn’t work, and my hope is that this is seen as a springboard for a new way of thinking. Even though I am digging this book, I certainly don’t agree with it all… or the extremes of it all. There are definitely strengths and weaknesses to consider in each marriage and finding what fits and what doesn’t. Trial and error. But the overall concept of THIS post is that our husbands are being plagued by passivity in the home because we are simply doing it all. Then we become resentful and they become disengaged. That just isn’t healthy, nor is it God’s plan. I totally agree, and like you, I’m always cautious of a ‘one size fits all’ approach to things 🙂 Great stuff as always girl. AB… I’m glad to have you in my world. Thanks for supporting me and my ministry! Love you! thank you so much for your teaching. we truly don’t realize how detrimental we can be to our marriages. i was convinced that if he loved me than everything that came out of my mouth, would be of value to him. well needless to say it wasn’t. slowly we have become very separated and i seem to be the only one that is unhappy. but i have learned that i want perfection, a term that i use loosly. and i am convinced that i don’t know what that is. so i continually pray for the process of God’s design, not only for my husband but more for me. the Lord has been faithful to calm my spirit to the point that i am free to let my husband do or say whatever he wants without any criticism from me. i am allowing God to be God in his life and that he will do the work that needs to be done. it will all change and i am confident in the Lord’s ways and timing. again thank you for confirming what the Lord is doing in my life. blessings. Karen… I love your heart. What a blessing you must be to your husband. Yep-God has been leading me here. My husband is so capable…why do I sometimes treat him like a kid? Because I fear that I will look bad if my husband messes up. That is the honest truth. And really, will I? Well in the current culture yes, I will. But should the opinion of those people matter? No, only God’s opinion should matter. 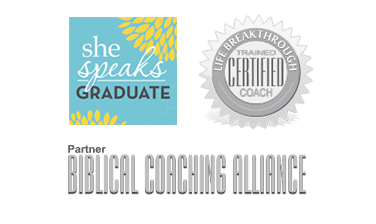 God had blessed me with the gift of “gab”, and it is a double edged sword in that it is so easy to use my words to hurt or disparage….God has been leading my heart to use my words to build up and encourage. It’s truly amazing that God doesn’t just lead me to change one area, I feel like it’s a whole package deal. Heather… Love your comment, “And really, will I?” You just ticked off the Enemy because you exposed his lie. I love that, girl! And I appreciate your honesty about how your husband’s mistakes might make YOU look. Speaking that… realizing that… just provided another blow to the Enemy. I’m glad you’re on the battlefield! I would love to give up control, but i need my husband to step up and lead the family. I am praying for his heart to be opened to God so that he can become a man of God. Kelly, I can relate to that feeling! But here’s the interesting part. When we take a step back… our husbands take a step forward. Often times, we have to make that first move and surrender. Keep praying, sweets! God wants your marriage to thrive! I want to go back and read all of the blog entries on this..what day do I need to go back to? I am not a “Surrendered Wife!” A friend shared this blog with me and the Holy Spirits timing in using her was impeccable. This is an amazing upsurge for the weekend my beloved and I are planning. We’ll be celebrating 10 years of marriage a week from tomorrow. This weekend we’ll be attending a marriage encounter weekend, we need to figure out this situation we’ve created! I’ll be “stealing” this prayer to an index card and praying it! I’m a controlling wife who’s not done a good job of lifting him up to his role. It’s clear if I change, he’ll be the man God intended him to be. Dee, so glad to have you along for the journey! Ugh. I need you guys. This goes against my flesh, but I am certain that God will bless my obedience. “Father, I ask for an amazing encounter for Dee and her husband this weekend. Renew their love. Bless the time together. Lord, would You help each one step into their God-designed role? Would You give them the ability to come into alignment with Your plan for marriage. In Jesus’ name. Amen.” Now Dee, go get ’em! thanks so much YOU are a blessing sent to me..ordering the book right now!! Jessica… so glad to have YOU along for the journey. Know that I don’t buy into everything she says, but she offers GREAT suggestions and ideas to come into alignment as a godly wife. You’ll find some great nuggets along the way. AND IMPORTANT! Don’t let your husband know you are reading this book. She explains why close to the front. Be blessed! Debbie… I GET it, girl. Double UGH here, too. As I cry and feel the Lord convicting me of not letting my husband be the “man” of our home I realize all the “little things” that I do that prohibit him from being the man God intended him to be! What hit me the hardest was not allowing him to load the dishwasher! What is a small thing it really hit me hard. I do this everyday. I am such a control freak and it is so hard to lose that control, even loading a dishwasher! I know that I need to get this book and start reading and allowing God to change my heart. My husband is a great man and I pray that I can start giving him for encouragement and support. Thank you so much Carey! I’ve been going through this process alone – becoming a surrendered wife. I had no idea that there was a book or your blog about it. I can honestly say that it has been more challenging than I thought it would be. I knew God was leading me to give up control for a few years. It seemed impossible for me to do. I didn’t realize how much my trying to be so on point or always “right” was actually damaging our marriage. It definitely was fear. God began to work on my heart. I couldn’t believe I needed so much work in this area – I thought I was doing right but I wasn’t. Now, that I’m on this journey of surrender, my marriage is better. I can see the benefits. What I wanted him to be didn’t come from my nagging…it’s coming through my surrender! Thank you for this blog. I signed up for every post. I need this in my life. Thank you for answering the call to do this. Many blessings to you! Wanda… yes! This is a very hard – yet rewarding – journey. I love that you are seeing the benefit of “surrendering” … because it really is God-ordained and it works. I’m glad to have you along for the ride! Bless you, sweet friend! I hope you did not mean that we say Whatever you think to every decision he makes. What about major decisions? Isn’t a wife supposed to be able to give her input and then he gets to make the final decision? Shai… excellent question. Honestly, I think it depends on the marriage and the husband. I know husbands that really want the wife’s input and value what they say, and then make the “best” decision for the family. I also know husbands that are reckless with decisions, in active addictions, and don’t have their family’s “best” at heart. I think with this (as in all suggestions I make) you have to do what is best for YOUR family. I certainly don’t know your situation so a cookie-cutter action plan isn’t always realistic. 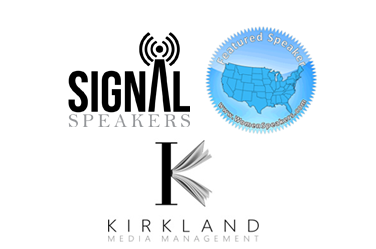 Please consider purchasing the Surrendered Wife book to see what the author has to say. She might have additional advice or another perspective to share. Thank YOU for visiting and asking. Appreciate your willingness to question.